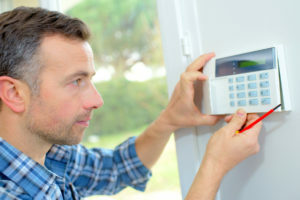 There are many residential electrical contractors in the Wayland, Massachusetts, area, so you can afford to be particular when choosing the best one to provide service for your home. If you would prefer a company that has more than a decade of experience and has earned an A+ rating with the Better Business Bureau, look to VMA Electric. We offer comprehensive electrical services and take pride in ensuring that each of our customers is completely satisfied with the work we provide. And, to afford added peace of mind, we stand behind our service with a one-year guarantee. Our reputation is what helps us stand out from the other residential electrical contractors in the area. We employ expert electricians who average more than a decade of experience, and we ensure that they stay up to date on the latest industry advancements. And, our owner, Victor Archila, is involved in virtually every job we do to ensure that we meet the standards our customers deserve. Contact VMA Electric today to see for yourself why we are one of the most respected residential electrical contractors serving the Wayland, MA, area.